Ajmer City is Popular As Sufi City Of India. The Ajmer Sharif Dargah and the Brahma Temple Of Pushkar Is Perfect Example For Religious Harmony. The Religious Duo is Close To Jaipur and Has Many Tourist Attractions Around. However Ajmer Jaipur Same Day Sightseeing Tour Is a Gud Option For Those Who Visit to Ajmer and Wish To Make Day Tours Around. Ajmer Sharif The Biggest and Most Visited Mosque By Muslim Pilligrams From All Over The World. 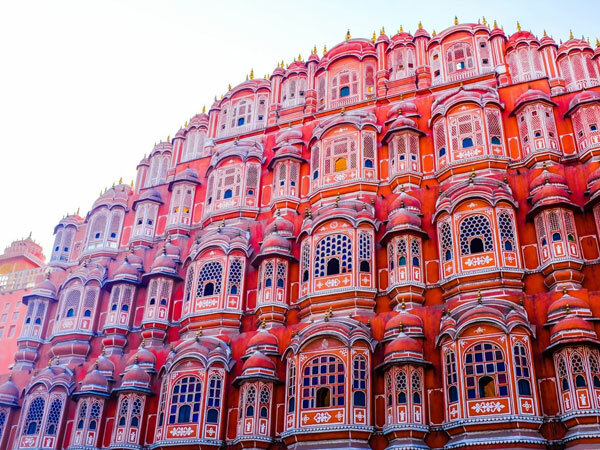 However Jaipur Is The Capital Of Rajasthan and Worth a Visit. The Pinkcity is Famous For It's Forts and Palace's. The Ultra Morden City With It's Heritage and Unique Gesture Has a Lot To Offer. Amber Fort and Tiger Fort With City Palace and Hawa Mahal are Popular Heritage Site's. Water Palace Is Also In The Pinkcity Area Worth Visit. Ajmer Jaipur Same Day Sightseeing Tour Has a Lot More Then Just Heritage Site's. Jaipur Is Very Popular For Elephant Ride and Jaipur Zoo. There is Animal Zoo and Birds Zoo Nearby The Pinkcity. Jaipur Is Also Famous For Shopppings All Over. Textile , Blue Pottery , Carpets, and Jewellery are Famous From Jaipur City. After Visiting The Palace's and forts You Can Enjoy To Visit the Observatory and Albert Museum For Old and Antique Science Experience. The Museum Has All Old Weapons and Model's From Kingdom Of Rajputana. The Pink City is Located Inside a Area Surrounded By Wall. It Has Different Gate's and All Mandatory Pink Shops and House's. There are Popular Local Bazars Like Johri Bazar For Jewellery , Bapu Bazar and Nehru Bazar For Clothe's. Most Of The Monuments Can Be Covered In a Day Time. Starting Your Tour From Ajmer In Early Good Hours Can Give You Ample Of Time To Visit All Place's. Ajmer To Jaipur Drive Distance is 2Hours Each Side and Hence You Get Full Day To Visit the City As Per Your Choice.